Home Reviews New Mi Earphones Review (2018 model), Best earphones under 1000 Rs? Hey, What’s up guys, welcome to this post. Today in this post I am going to review new Mi Earphones 2018. These earphones are recently launched in India with a price tag of Rs 699. Currently, these earphones available only on Mi official store. If you would like to purchase these earphones please click this buying link. The Packaging of these Mi earphones is quite simple. Inside the box, we get three items. Including, one user manual. There you will get all the information about using the multifunctional remote. Apart from this, we get two different types of ear tips, means we get total 3 ear tips with these earphones. More info please visit my Youtube channel Geekman. Let’s talk about the design first. As you can see, On the design front, these earphones look very stylish and premium. And honestly, after seeing these earphones no one can say that these are just 699 Rs earphones. Really, the design and build quality are quite good compared to other earphones in this price range. Thanks to MI for making such a good quality earphone. The earphones over here are in black colour but if you don’t like the black colour, then don’t worry there is also silver colour variant available for you. The main module of these earphones is made of metal. Only on the front side, little bit plastic has been used. And here on the top side, you get nice CD texture design, which gives a very classy look to these earphones. Now, coming to wire quality. The wire quality of these earphones is really good. The best part is that half of the cable is rubber coated and the rest is coated with Kevlar fibre. 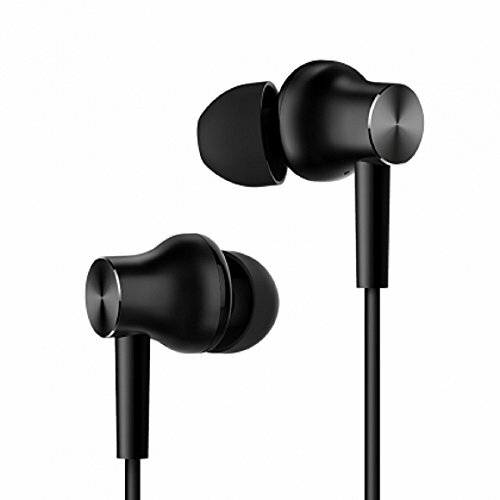 The Fiber coating helps to reduce friction with clothes and also improve the lifespan of these earphones. At the end of the cable, we have gold plated 3.5 mm jack(l-shaped). The star point is that it has a good quality microphone and three multifunction buttons. Using these buttons you can control music and incoming calls. When talking about comfort, I like to say these earphones are very comfortable because of its unique design and soft silicone ear tips.You can definitely use these earphones for a long time without any irritation. It’s also very lightweight only 14 grams. When coming to sound quality, I am quite happy with these Mi earphones. I don’t know the size of the drivers and frequency response of these earphones. But the overall sound output is very loud and clear, thanks to the metal chamber. The tight-fitting and good design of ear module does help in reducing the noise and also improve its sound quality. The best part is that the headphones sound very clear even at maximum volume. The Bass sound is quite good, very deep and clear compared to most of the other earphones in this price range. So if you listen to more Pop and EDM songs, then you will love these earphones. The treble and vocal are also good compared to its price. I am quite impressed with the dynamic range and sound surrounding effect of these Mi earphones. But I think its sound output is not so smooth compared to Sennheiser CX 180. 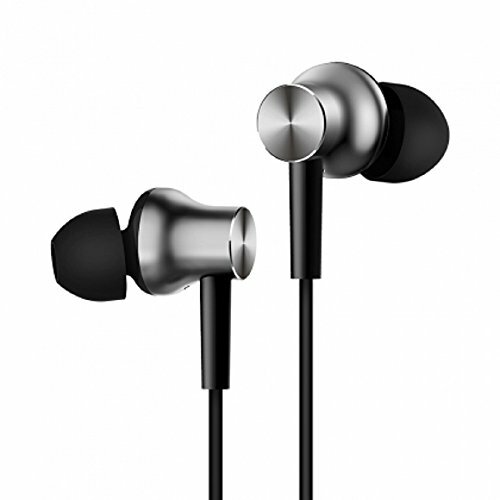 Yes, the CX 180 gives little more smooth and balanced audio compared to these earphones. But we can’t compare these both earphones because there is almost 250 Rs price difference. So if you looking earphones with stylish design, solid build, and of course good sound and microphone, then buy these earphones without any doubt. In my opinion, these are 100% value for money earphones. Previous articlePhilips QT4001/15 Trimmer Review, Pro & Con, Best trimmer under 1000? Sir what are option with earpod similar to apple ? ?